We’re changing the structure of our bodies from a carbon to a crystalline base, as Matthew Ward explained back in 2003. Some will not open to the Light and their bodies will not transmute. They’ll lose the capability to survive in the higher dimensions. 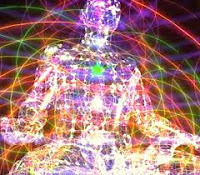 “The light that is absorbed by receptive souls is changing their cells into a crystalline structure for physical survival in the higher vibrational levels as well as increasing spiritual clarity and thus soul evolution. The Team describe how our resistance patterns make this process more difficult than it need be. “Humanity is in a process of cosmic alchemy that is transforming your physical body from the carbon-based matrix and blueprint to a precise, accomplished and elegant crystalline matrix and organism. “Many may find that this shift is physically challenging, you might be witness to this in others. 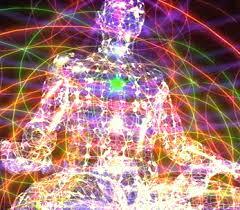 You as a human have a morphogenetic field that surrounds you; we call this your energy signature. In your personal growth and development as well as the trials and challenges along the way, you have created a type of energetic armoring or blockage. This energetic armoring has a tendency to block what is being offered. If your personal circuits are shut down because of some fear, it will be more difficult for your body to accept these upgrades to the system. Unwanted conditions may arise for us. “These magnetic influences have an impact, emotional as well as physical, on your human body. You as an individual will respond differently depending on many factors of your own personal dynamics. There are, however, common shared changes. “Every aspect of your physical body is undergoing a dynamic change, a metamorphic transformation,” they explain. We’re getting a thorough rewiring, according to the Team. 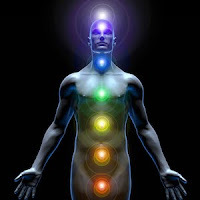 “Another aspect and change that is taking place within your body is the energy meridians. They are expanding, so to speak, to carry a higher frequency vibration. You could say that you are being rewired. “Your language is changing; your thought forms are different. The old areas of your brain which contain your past are gradually being refined or dissolved, so it is beginning to seem as though everything that happened before, even last year, is a vague dream. New areas of your brain are being activated and you must learn to think in a whole new way. “Light packets of information, holographic pictures of great significance and sacred geometric patterns will begin to come into your consciousness, and you must learn how to decipher these. It may seem as if those whom you are moving beyond no longer understand you, or you cannot find words to carry on the old mundane patterns of conversation. The Master Hilarion forewarns us that we’ll feel the need to express our emotions more as we move away from our self-protective programming. “The winds of change are upon you. … The first noticeable change will be a greater ability to feel emotion and express it. Most people on the planet have suppressed their emotions in order to harden their hearts so that they could function in the ever increasing density and these filters are now falling away because there is much greater light than ever before. If what Hilarion says is true, based on my own experience, we may need assistance first to get in touch with our feelings and second to express them. We also may have difficulty focusing, Hilarion warns us. We may feel as if our circuit boards have repeatedly been wiped clean, the Constant Companions inform us. But what we find at the end of this journey will make the work worth it – bliss, ecstacy, elation, exaltation. Tomorrow we’ll look at the role purification plays in this process of opening to and assimilating the new energies. (1) Matthew’s Message, Dec. 31, 2003, at http://www.matthewbooks.com/mattsmessage/. Lao-Tzu also refers to the process:. 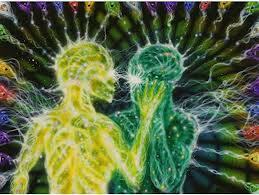 “The Light which moves at the speed of Love quite literally transforms carbon to crystalline. We have not spoken of this before because it was not yet time but that is exactly what it does. Celia Fenn validates what Matthew said about the fate of those who remain closed to the energies. (2) “The Team: Metamorphic Transformation,” as received by Peggy Black, March 13, 2014 http://www.morningmessages.com. (6) “Archangel Michael – Assuming Your New Galactic Mission,” transmitted through Ronna Herman, Sacred Scribe – December 28, 2012 at http://www.ronnastar.com/messages-aam/latest.html. (9) “The Constant Companions via Aisha North: A Short Update on the Energies – February 21, 2015” at http://goldenageofgaia.com/2015/02/22/constant-companions-via-aisha-north-short-update-energies-february-21-2015/.